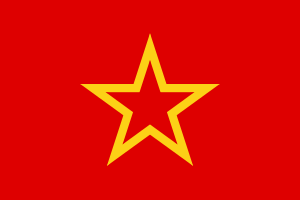 The Soviet 8th Guards Army was an army of the Soviet Union's Red Army/Soviet Army that was formed during World War II and was disbanded in 1998 after being downsized into a corps. The army was formed from the 62nd Army in May 1943 in recognition of its actions in the Battle of Stalingrad. It defended the right bank of the Donets and fought in the Donbass Strategic Offensive in August and September. It then fought in the Lower Dnepr Offensive, where it captured helped capture Zaporizhia. During winter and spring 1944 the army fought in the Dnieper–Carpathian Offensive. After the capture of Odessa, the army was transferred to the Kovel area and fought in the Lublin–Brest Offensive during the summer, capturing Lublin, crossing the Vistula and seizing the Magnuszew bridgehead. The army defended the bridgehead until January 1945, when it helped launch the Vistula–Oder Offensive. 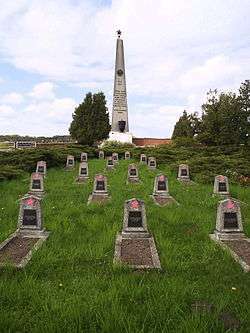 The army helped capture Łódź, Poznań and Kostrzyn nad Odrą. The army then fought in the Battle of Berlin. During the war it was led by its commander during the Battle of Stalingrad, Vasily Chuikov. After the war the army was stationed at Nohra, covering the strategic Fulda Gap during the Cold War. In 1993 the army was withdrawn from Germany to Volgograd (the former Stalingrad) and there downsized to a corps, before being disbanded in 1998. Activated in October 1941 as the 7th Reserve Army, the Army was re-designated the 62nd Army at Stalingrad in July 1942. 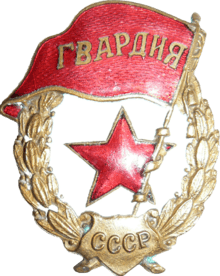 It was among the victors of Stalingrad and thus re-designated the 8th Guards Army on 5 May 1943, in accordance with a Stavka directive dated 16 April 1943. In July 1943, it took part in the Izyum-Barvenkovo Offensive (July 17–27), and in August-September - in the Donbass strategic offensive operation (August 13 - September 22) . Developing the offensive in the direction of the Dnieper, the Army with other troops of the Southwestern Front liberated Zaporozhye (October 14), crossed the Dnieper south of Dnipropetrovsk south and captured a bridgehead on its right bank. By this time 28th, 29th and 4th Guards Rifle Corps were part of the army. The army was part of the 3rd Ukrainian Front during the Dnieper-Carpathian Offensive. By March 25, 1944, the Prut River had fallen and the 3rd Ukrainian Front was dispatched to secure Odessa. On April 2, Vasili Chuikov's Eighth Guards Army and Forty-Sixth Army attacked through a blizzard and, by April 6, had driven the defenders past the Dniester River and isolated Odessa. Odessa capitulated on April 10, and Soviet troops began entering Romania proper. In 1945 the army was commanded by Lieutenant General Vasily Chuikov. It was part of Marshal Zhukov's 1st Belorussian Front. One of the cities which the Army took in its westward drive was Poznań, which the Army seized in January–February 1945. In the summer of 1946, the 4th Guards Rifle Corps was disbanded along with the 35th, 74th, 82nd and 88th Guards Rifle Divisions. In July 1956, the 28th and 29th Guards Rifle Corps were disbanded. During the Cold War, 8th Guards Army stood opposed to NATO forces (specifically the US V Corps) along the strategically vital Fulda Gap in West Germany. In June 1964, the 21st Guards Motor Rifle Division transferred to the 1st Guards Tank Army and was replaced by the 20th Guards Motor Rifle Division. 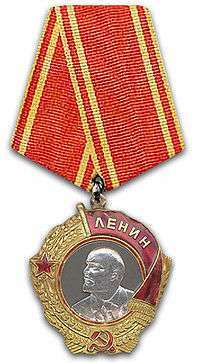 On 22 February 1968, it was awarded the Order of Lenin for success in combat training. In May 1983, the 20th Guards Motor Rifle Division transferred to the 1st Guards Tank Army and was replaced by the 27th Guards Motor Rifle Division. In February 1989, the 486th Separate Helicopter Regiment was activated at Jüterbog from the 241st, 311th, 327th and 345th Separate Helicopter Squadrons. After the Soviet withdrawal from Germany the army was reduced in size to become 8th Guards Army Corps on 1 June 1993, and withdrawn to Volgograd, the former Stalingrad. There it appears to have taken the place of the 34th Army Corps. From June 1993 to February 1995, it was commanded by Lev Rokhlin. 8th Guards Army Corps was disbanded in May 1998. 1 2 3 Holm, Michael. "8th Guards Combined Arms Army". www.ww2.dk. Retrieved 2016-02-16. 1 2 3 4 5 6 "Состав соединений и частей 8 я Гвардейская Общевойсковая армия" [8th Guards Army Structure]. www.gsvg.ru (in Russian). Retrieved 2016-02-16. ↑ Holm, Michael. "11th Missile Brigade". www.ww2.dk. Retrieved 2016-02-15. ↑ Holm, Michael. "449th Missile Brigade". www.ww2.dk. Retrieved 2016-02-15. ↑ Holm, Michael. "79th Guards Tank Division". www.ww2.dk. Retrieved 2016-02-16. ↑ Holm, Michael. "27th Guards Motorised Rifle Division". www.ww2.dk. Retrieved 2016-02-16. ↑ Holm, Michael. "39th Guards Motorised Rifle Division". www.ww2.dk. Retrieved 2016-02-16. ↑ Holm, Michael. "57th Guards Motorised Rifle Division". www.ww2.dk. Retrieved 2016-02-16. ↑ Holm, Michael. "390th Guards Artillery Brigade". www.ww2.dk. Retrieved 2016-02-16. ↑ Holm, Michael. "900th independent Landing-Assault Battalion". www.ww2.dk. Retrieved 2016-02-16. ↑ Holm, Michael. "336th Independent Helicopter Regiment". ww2.dk. Retrieved 16 February 2016. ↑ Holm, Michael. "65th Pontoon-Bridge Regiment". www.ww2.dk. Retrieved 2016-02-16. ↑ Holm, Michael. "486th Independent Helicopter Regiment". ww2.dk. Retrieved 16 February 2016. Beevor, Antony; Cooper, Artemis (2002). The Fall of Berlin 1945 (1st ed.). New York: Viking. Powell, Colin L.; Persico, Joseph (1996). My American Journey (1st ed.). New York: Ballantine Books. Wikimedia Commons has media related to 8 Guards Army. Chuikov, Vasily (1959). Начало пути [Beginning of the Path] (in Russian). Moscow: Voenizdat. Chuikov, Vasily (1972). Гвардейцы Сталинграда идут на Запад [Stalingrad Guardsmen go West] (in Russian). Moscow: Sovetskaya Rossiya. Chuikov, Vasily (1973). Конец третьего рейха [The End of the Third Reich] (in Russian). Moscow: Sovetskaya Rossiya. Chuikov, Vasily (1975). Сражение века [Battle of the Century] (in Russian). Moscow: Sovetskaya Rossiya. Chuikov, Vasily (1985). От Сталинграда до Берлина [From Stalingrad to Berlin] (in Russian). Moscow: Sovetskaya Rossiya. Dmitriev, S.N. (1994). Советские войска в Германии 1945—1994 [Soviet Troops in Germany 1945-1994] (in Russian). Moscow: Molodaya Gvardiya. ISBN 9785235022218. Lenskii, A.G.; Tsybin, M.M. (2001). Советские сухопутные войска в последний год Союза ССР. Справочник [The Soviet Army in the Last Year of the USSR: A Guide] (in Russian). St. Petersburg: B&K.